Maria Chiara Carrozza is Scientific Director of Fondazione Don Carlo Gnocchi ONLUS in Milan, a Network of Research Hospitals dedicated to Rehabilitation and Personal Assistance, combining this activity with her role as full Professor of Industrial Bioengineering at the Sant’Anna School of Advanced Studies in Pisa where she is responsible of research in Neuro-Robotics Area at the Biorobotics Institute (she holds a PhD in Engineering at the same School). 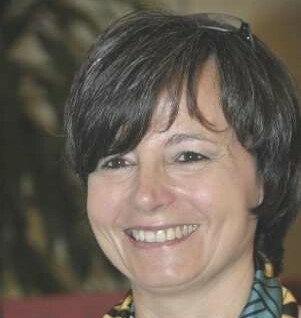 She is the President of the Italian National Group of Bioengineering, the Italian network of researchers in Bioengineering active in public and private university, research centres and foundations. Since 2015 she serves in the Board of Directors of the Piaggio Spa Group as Independent Director. She is Partner of IUVO, a innovative company active in wearable robotics founded in 2015 as a spin-off of The Biorobotics Institute. She has been Chair of the evaluation panel during the Interim evaluation process of the Horizon 2020 FET Flagship projects. She was the Minister of Education, University and Research of Italy, from April 2013 to February 2014, Member of Italian Parliament from 2013 to 2018, and Rector of Sant’Anna School from 1 November 2007 to 26 February 2013.